m:tel - you have friends! We operate responsibly, support the community and provide high-quality services at affordable prices. As the leading telecom operator in Bosnia and Herzegovina, Joint Stock Company Mtel a.d. Banja Luka (www.mtel.ba) offers unique communication solutions unified under the m:tel corporate brand. In the more and more dynamic BiH market, we offer the latest telecommunication services in the field of telephony, landline network, internet, data and IPTV. With constant following of the world trends and the latest technological achievements in the field of telecommunications, we also recognize our customers’ needs and wishes. Being aware of the fact that today people need more than just a simple communication, Mtel provides a wide range of additional services. We offer our business customers the integrated business solutions with calls and data within both mobile and landline networks, which form the basis for creating sound conditions for a successful business. Besides high-quality services and application of the newest information technologies, m:tel invests a lot in sports, culture, education and humanitarian projects, and by conducting business in a socially responsible way we influence the development of true values in our environment. Mtel has achieved outstanding business results, evidenced by a record number of over 1 600 000 friends and users of all services. Being consistent to the tradition that bind us, we offer customers a unique digital experience, making their lives better, easier and more joyful. Step ahead of the others, we want to be the first customers’ choice in the digital services world. The m:tel Company operates according to the basic values that are the expression of common beliefs, and play an extremely important role in everyday business life. Guided by the corporate values, we gain the trust of our customers, business partners, shareholders and the community, for trust is the very precondition for a high-quality cooperation, being the result of long-term practice of investing in business relations. Business operations of Mtel a.d. Banja Luka, being a joint stock company, i.e. shareholding company, are defined by the provisions of the Law on Companies. Pursuant to these provisions and the Company Statutes, the Statutory Bodies of the Company are the following: Shareholders Assembly, Management Board, General Manager (CEO), Executive Board, Auditing Board and Internal Auditor. Miodrag Vojinović, B.Sc. El. Eng. Jasmina Lopičić, B.Sc. El. Eng. Radmila Bojanić, B.Sc. El. Eng. Marko Lopičić was born in 1975 in Kraljevo. He graduated from the School of Law of the University of Belgrade in 2000. He began his career with the Telekom Srbija, a.d. in 2000. He was performing the duties of representation within the Legal and General Affairs Secretariate and, afterwards, he was performing the duties of the Normatives Department Head, within the Budget and Control Division, and the duties of the Legal Support Department Head, within the Services Division. 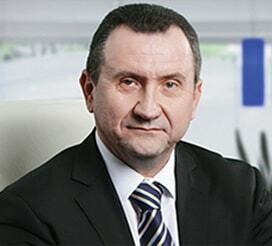 He was appointed the Executive Director for Corporate Affairs of Mtel, a.d. Banja Luka on 19 June 2007. As a member of the Management, he was in charge of the Human Resources, relations with the Regulator and legal affairs, as well as for the activities of the Company Secretariat and relations with the shareholders. 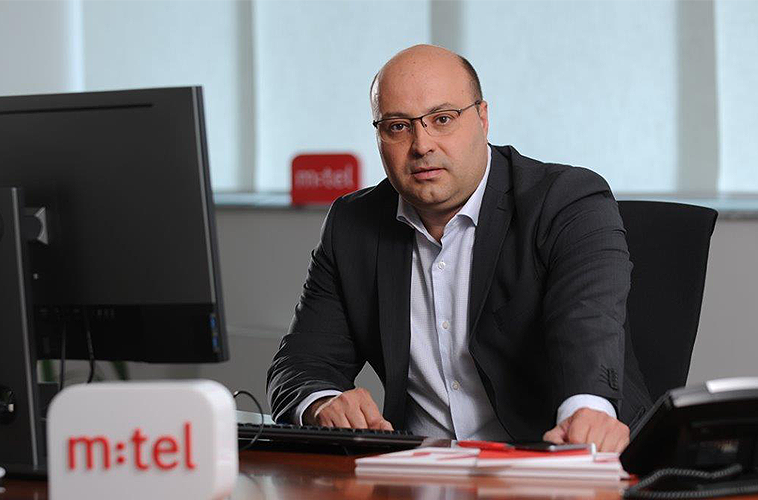 The Company Management Board elected Marko Lopičić the General Manager of Mtel a.d. Banja Luka on 8 June 2016. Born in 1978 in Bar. Graduated in 2003 from the School of Law of the Belgrade University. In 2004, completed the School for Social and Political Leadership „PERIKLES“, organized by the Center for Democracy Fund (Fond Centar za demokratiju), and financed by the European Commission. He passed his Judiciary Examination in 2007. Since 2007, he has been a member of the Attorneys' Chamber of Belgrade, as an attorney-at-law specialized for corporate law. In January 2013, he has been an advisor to the CEO of Mtel and since December 2013, he has been Strategy Function Director. He was appointed for the Executive Director for Operations on April 24, 2014. Miodrag Vojinović was born in 1972 in Banja Luka, and graduated from the School of Electrical Engineering of the Banja Luka University in 1999. He performed his professional advancement in the USA, China, Germany and Austria. After having been Telekom Srpske scholarship grant recipient, he was employed with the Company and passed the development path from the assistant engineer, senior engineer, Department Head, Sector Head to the Function Director. He participated in the projects such are: prepaid system, IPTV, wireless access network modernization, introduction of FTTH, ngHLR, number portability, IMS, mobile broadband, SBC and many more. He speaks the English and German language. He was appointed for the Executive Director for Technics on 24 March 2015. Jasmina Lopičić was born in Belgrade in 1972. She graduated from the Faculty of Economics of the Belgrade University in 1996. 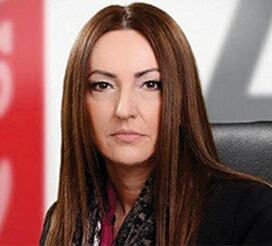 She started her career in JP PTT Srbija (Public TC Enterprise) in 1997, in the Division for Economic Affairs. Since 1998 she has been employed with Telekom Srbija a.d. Beograd. 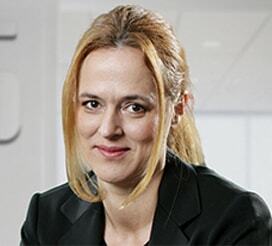 She was appointed the Director of the Economic Estimates Sector in 1999 and, in 2005, she was the Director of the Sector for Budget and Control of the Division for Economic Affairs in Telekom Srbija a.d.
From 2001 to 2004 she was a member of the Telekom Srbija a.d. Supervising Board and, in the period of 2004-2008, a member of the Telekom Srbija Management Board. Since 2010, she has been a member of the Board of Directors of Mtel Podgorica. She is married and mother of two children. She was appointed the Executive Director for Finances of Mtel a.d. Banja Luka on 19 June 2007. Radmila Bojanić was born in 1972 in Gradiška. She graduated in 1997 from the Faculty of Electrical Engineering of the Banja Luka University. She continued her academic education in 2004 at the Faculty of Economics of the Banja Luka University, where she obtained the title of Master of Science in Economics and then at the Singidunum University in Belgrade - Doctor of Science in Economics in 2010. She started her career in the Mtel Company in 1998 (then Telekom Srpske) where she moved from the position of engineer, participant in numerous strategic projects to various managerial positions in the Division for Marketing and Sales. From 2010 until 2013 she was the Head of Business Customers Sales Sector, and from 2013 until April 2017 she was a Head of Sector for Business Customers Sales and Wholesale. During last year, until this appointment, she was responsible for sales to residential customers as well. She participated in numerous expert conferences and was an author of several scientific papers in the field of management in telecommunications and quality management. She was appointed the Mtel a.d. Banja Luka Executive Director for Marketing and Sales on 5 April 2017. Vladimir Četrović was born in 1968. He graduated from the Faculty of Law of the Belgrade University. He started his career as an apprentice lawyer in 1996 and from 1998 he was employed with Telekom Srbija a.d. Beograd in the Legal Affairs Secretariat as the Company legal representative. He was appointed the Director of the Legal Affairs Division in JP PTT Srbija in 2004 and in 2007 the General Manager of Mobtel PTT d.o.o. From 2009 to 2010 he was an advisor to the General Manager of JP PTT Srbija. In January 2010 he joined the m:tel team as a Head of Legal Affairs Sector in the Division for Corporate Affairs. He was appointed the Executive Director for Corporate Affairs of Mtel a.d. Banja Luka on 14 June 2016.